Robert Naczi, Ph.D. is a plant systematist and Curator of North American Botany and the New York Botanical Garden. Rob is a leading authority on the flora of the eastern United States, the sedge genus Carex (Cyperaceae), and the Western Hemisphere Pitcher Plants (Sarraceniaceae). He specializes on documenting the changing plant life of the Northeast. Presently, he is writing a comprehensive account of the Northeast’s plants, New Manual of Vascular Plants of Northeastern United States and Adjacent Canada. Naczi uses a multi-pronged approach to his research, utilizing field, herbarium, and laboratory methods. His field work has given him first-hand knowledge of the flora of much of North America. Naczi earned the B.S. in Biology from St. Joseph’s University, Philadelphia, in 1985. He earned the Ph.D. in Botany from University of Michigan in 1992. Naczi has served in the Department of Biological Sciences at Northern Kentucky University, as Associate Professor and Herbarium Director, and at Delaware State University, as Herbarium Curator, Graduate professor, and Founding Director of the Scanning Electron Microscopy Laboratory. In late September 2008, he started his job as Curator of North American Botany at The New York Botanical Garden. Susan Kalisz. Professor Kalisz’s research addresses questions related to the evolution, ecology, development and conservation of flowering plants and their communities. One research area in Kalisz’ lab addresses the roles of mutualists, herbivores and invaders on the population and community dynamics of forest understory species. A second avenue of research explores the conditions that favor or maintain both outcross and self-pollination within populations and species (mixed mating) including the ecological environment. She is testing the long-standing idea that selfing is an evolutionary dead-end using genomic analyses of the genus Collinsia as a model system. Professor Kalisz earned a BS degree at the University of Michigan and a MS and PhD at the University of Chicago. After becoming a tenured Associate Professor on the faculty of Michigan State University, she moved to the University of Pittsburgh and is currently a Professor of Evolution and Ecology. 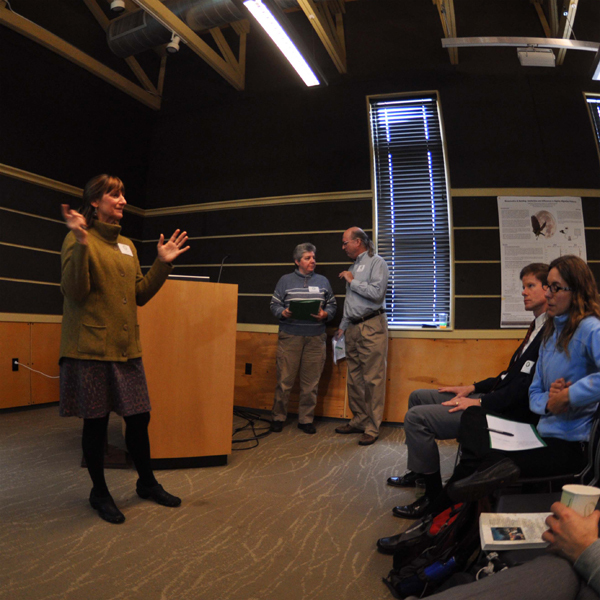 Research award agencies include the National Science Foundation, Phipps Conservatory and Botanic Garden, Heinz Endowments, The Nature Conservancy and The West Penn Conservancy. She has authored more than 60 publications in scientific journals. Professor Kalisz is currently an Editor of the journal The American Naturalist, an Associated Editor for the journal Evolution. She has served as a Program Director for the National Science Foundation, as a member of the Board of Directors of the National Aviary, and working group leader at National Evolution Synthesis Center (NESCent). James Bissell. Dr. Bissell joined the staff of the Cleveland Museum of Natural History in September of 1971. From 1971 through 1972, he worked as an assistant in the Collections Division at the Museum and also established the wild plants garden in the Museum Courtyard. He was given the title of Curator of Botany in November 1972. In addition to organizing the Museum Herbarium, Curator Bissell began a regional plant inventory program to fill a niche that had been abandoned by colleges and universities in the Cleveland region several decades earlier. The high quality plant specimens in the newly organized Museum Herbarium, predominantly from the nineteenth century, provided a fine base for building a regional herbarium. Today, the Museum Herbarium houses over 75,000 specimens. In 1976, Curator Bissell was named Museum Coordinator of Natural Areas and was put in charge of managing the Museum’s Natural Areas Program. Since that time, the natural areas holdings of the Museum have increase from eight to 42 preserves, totaling more than 5,000 acres. In 1984, Curator Bissell extended his rare plant and natural area inventory program into northwestern Pennsylvania. He began conducting comprehensive inventories at places such as Presque Isle State Park and thousands of acres of glacial wetlands in Erie, Crawford, Mercer, Venango and Warren Counties. 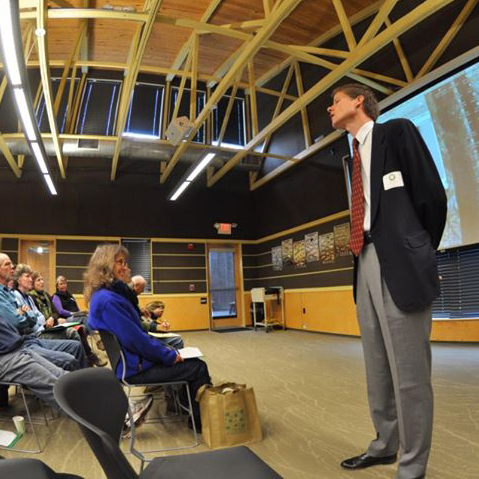 Since extending the survey program into Pennsylvania, he has documented more than 600 rare plant occurrences and discovered several natural areas with statewide significance. His work during the last twenty years has shown that Presque Isle State Park has more rare plants than any other natural area in Pennsylvania. During the last two decades, Curator Bissell has worked to build bridges between the Museum Herbarium and Natural Areas Program. The current marriage of the two programs is called Conservation Outreach. As part of the Conservation Outreach Program, he has spent an ever increasing portion of his time building relationships with private and public landowners in order to pass on the accurate knowledge in the Museum Herbarium to those in charge of special natural lands. Alfred E. “Ernie” Schuyler. Alfred E. “Ernie” Schuyler is Curator Emeritus of Botany at The Academy of Natural Sciences, where he has worked since 1962. He received his A.B. in botany from Colgate University in 1957 and his Ph.D. in botany from the University of Michigan in 1963. He has numerous publications on the systematics of sedges, the distribution and ecology of aquatic plants, the systematics and ecology of rare plants, and botanical history. He has taught at Swarthmore College, the University of Montana, Rutgers University, Millersville University, and Michigan State University. He presently teaches two adult education courses at the Arboretum of the Barnes Foundation. His current interests include the systematics and ecology of rare plant species, the relationships between plant diversity and environmental quality, and the history of botanical exploration in North America. Andrea Kramer. Andrea Kramer has been in the role of Executive Director of BGCI US since January 2008. In this role, she works on plant conservation, research, and outreach programs and is charged with connecting botanic gardens and partners in the United States with BGCI’s global plant conservation network and resources. Recent projects include the North American Collections Assessment and Botanical Capacity Assessment. She currently chairs the American Public Garden Association’s plant conservation professional section. Prior to joining BGCI, Andrea worked for 8 years in the conservation department at Chicago Botanic Garden, where she collaborated with the Center for Plant Conservation to expand its National Collection of Endangered Plants, and with the Bureau of Land Management to research plant restoration practices in the western United States. She completed her Ph.D. at the University of Illinois at Chicago on the ecological genetics of Penstemon species in the Great Basin. Keynote Speaker Rob Naczi answers questions from attendees. Susan Kalisz addresses questions related to the evolution, ecology, development and conservation of flowering plants and their communities.